The following oral statement was delivered at the UN Human Rights Council’s 39th session in Geneva on the adoption of Bangladesh’s UPR. While we welcome commitments by the government to take steps to protect journalists and HRDs and tackle religious intolerance, we are concerned by the increased use of the country’s legal framework as a tool of censorship. ARTICLE 19 welcomes the constructive engagement by the Government of Bangladesh during its third Universal Periodic Review, including its consultation with civil society organisations. We further thank States for their recommendations, in particular those aimed at strengthening the protection of freedom of expression, of which 25 were accepted by the government. We are nevertheless concerned by the deteriorating situation for the rights to freedom of expression and information, peaceful assembly and association in in Bangladesh, in particular in recent months. We therefore urge the government to continue its constructive approach and to work with civil society to ensure the swift implementation of its UPR recommendations, to ensure the right to freedom of expression, online and offline, can be freely exercised by all in Bangladesh. We welcome commitments to take steps to ensure that journalists, bloggers, human rights defenders and civil society are able to carry out their work without fear of surveillance, intimidation, harassment, arrest, or other forms of reprisals. Preventing such attacks will require the creation of protection measures for those at risk and combatting impunity: prompt, impartial and exhaustive investigations must be carried out and perpetrators, as well as the masterminds behind attacks, brought to account. We are further encouraged by the commitment to work with civil society towards the implementation of HRC Resolution 16/18 and the Rabat Plan of Action. The roadmap these frameworks provide will be vital towards promoting tolerance, pluralism and diversity, and fostering an open inter-community dialogue in Bangladesh that is inclusive of the whole of society, including all religion or belief minorities. ARTICLE 19 remains deeply concerned, however, that the legal framework is increasingly being used as a tool of censorship. Provisions in the penal code, including those criminalising blasphemy and defamation, as well as the ICT Act (2006, amended 2013), and Foreign Donations (Voluntary Activities) Regulation Act (2016), impose overbroad restrictions on freedom of expression and restrict civic space: they must be repealed or reformed. Section 57 of the ICT Act has frequently been applied to silence journalists and media workers, activists, editors, teachers, social media users and public thinkers – over 90 cases have been brought since January 2018. 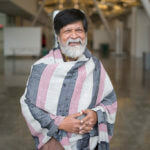 We continue to call for the immediate and unconditional release of photojournalist Shahidul Alam, detained on 5 August 2018 for allegedly “instigating students to continue a recent movement (on ensuring road safety) against the government” and “spreading propaganda against the government” in relation to remarks he gave to media organisations, in the aftermath of student protests in the country. Alam was formally charged on 6 August under the ICT Act, and remains in detention, having repeatedly been denied bail. Reports that he was beaten whilst in detention are of serious concern and must be fully investigated. Whilst yesterday’s Parliamentary approval of the Digital Security Act (DSA) – which now awaits Presidential approval – stands to repeal Section 57 of the ICT Act, its most problematic elements will be replicated. It is deeply regrettable that despite the laudable commitments made – including as part of this UPR – to ensure its compliance with international human rights law, the legislation has not been revised. The DSA promises to impose far-reaching restrictions on online expression, affecting all Internet users in Bangladesh: broadly criminalising and imposing wholly disproportionate punitive measures for expression lawful under international law. New, and overbroad powers to block and remove online content without judicial oversight, are also of deep concern. Prior to the DSA receiving presidential approval, we urge the government to review the DSA, with the full and effective participation of civil society, and in particular, freedom of expression organisations, to ensure that digital rights are fully protected. ARTICLE 19 strongly urges the Government of Bangladesh to take all the necessary steps to protect and promote freedom of expression both in law and in practice in the country, by implementing all UPR recommendations related to these rights in consultation with civil society. We stand ready to support the government in this process, and call on all UN Member States, and the Office of the High Commissioner for Human Rights (OHCHR), to provide the technical assistance required.